A cost effective way to hold your geared wind turbine. 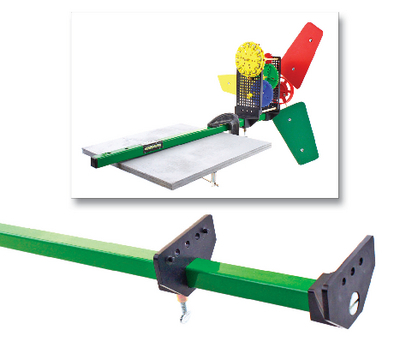 The TeacherGeek Bench Wind Stand is the fast and easy way to quickly mount a gear box style wind turbines. Our sturdy steel stand is designed for years of heavy use and will hold your project securely from construction to the final test. It clamps to most any lab table or desk, fits into most vises or can permanently mount to any project table. Required but not included is a C-clamp.